In the Girl With the Pearl’s round up of “alternate” Mockingjay Part 2 titles, there’s one that stands out because it’s just so true and tragic. Like THG and CF, in MJ2, having a character poster DOES NOT make you safe. I probably left some out – there’s a lot of loss in the movie. It’s a war movie, and from the few articles that have released about the film so far, that has been made plain. This movie will show you the consequences of war. Realistically, audiences need to go into it expecting death, just as they did with the first Hunger Games movie. “There’s 24 of us Gale, and only one comes out,” Katniss says in the first Hunger Games theatrical trailer. While that wasn’t exactly true, it did set the stakes for the movies and prepare the audience for what they would see. People were expecting to see all those other tributes fall and Katniss come out of it. The question was just how it would all go down. Book readers know what’s going to happen, and it’s HUGELY unlikely for the filmmakers to make any changes from the book in terms of who dies. Fans are also VERY vocal about how this all ends. I can’t imagine if you have a friend or family member that’s a fan of the books that you haven’t yet been “spoiled” already. So the question becomes, how much will be revealed beforehand in the movie’s marketing? And does it even matter, since so much of the audience probably knows the major points of what’s going to happen? Due to the heart-wrenching huggy time between Katniss and Peeta in the teaser trailer, movie-only audiences know that hijacked Peeta is going to get better, so that mystery is off the table. 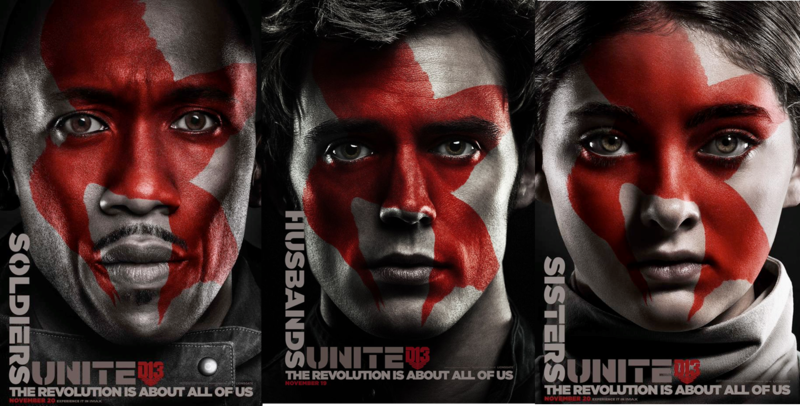 Will the marketing hint at other major things like Finnick and Prim’s fates? In Mockingjay Part 1, Coin was fairly positively portrayed. Will there be hints of an evolution in her character, or will general audiences be in for a huge surprise in late November? The question of how much to reveal in movie marketing is always tricky. Some people want a lot of teases. Some want to walk into the theater and be completely surprised. Terminator Genisys got a lot of criticism by revealing a MAJOR plot twist in one of their trailers. While that movie had plenty of problems beyond the mere spoiling of that twist, I’d say they definitely went too far by revealing that. But when a movie is based upon very popular books, are there any plot points that must remain concealed before release? How far is too far? We as book readers enjoy these movies plenty knowing what’s going to happen, but at the same time you want to let people that like to discover the story in the theater have that experience too. When a film is executed well, you can find ways to surprise everyone. Knowing Peeta was going to attack Katniss at the end of MJ1 didn’t keep me from jumping in my seat when it happened, but I imagine it was CRAZY to those going into the film blind. We may see fire and death from those parachutes in the trailer, but Panem’s children are just expecting good things. Has it already been confirmed somewhere that the girl in the yellow coat from the book will be in the movie? The girl is listed on imdb.